Help, Send A Child to School at the #HealingServants Foundation Inc.! This is the best way to give this Christmas. Instead of the usual adopting a poor child in your own homes, sending one child to school this season at Healing Servants Foundation Inc. may just be your best experience this year. 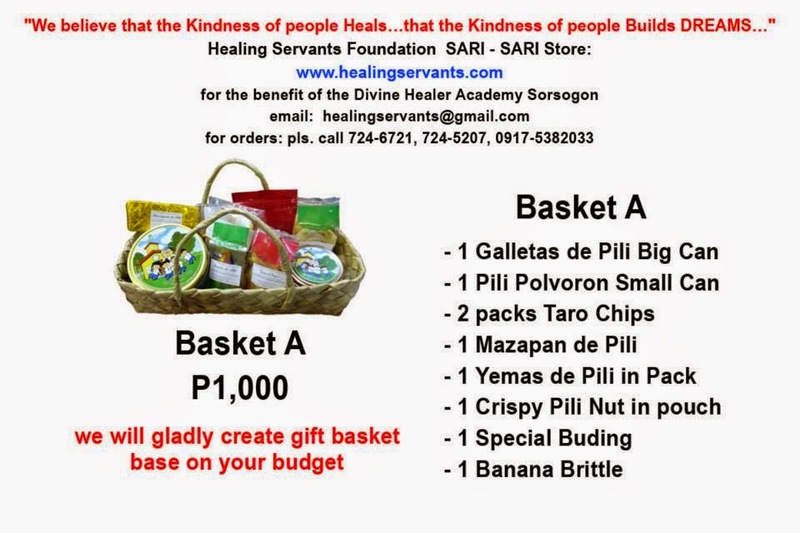 If it's too expensive to sponsor food or education for a child for a year, you may want to just consider buying gift items from the Healing Servants Foundation Inc., to help them raise funds. 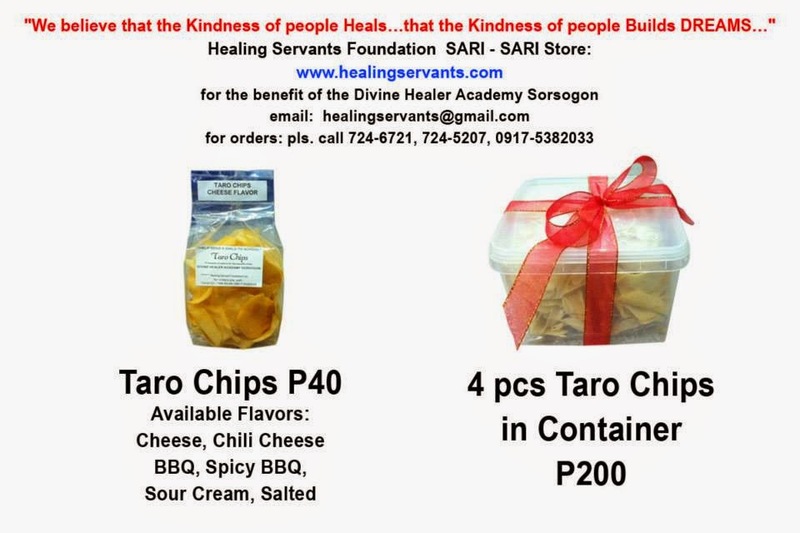 If you buy any product from the Healing Servants Foundation Inc., you get a chance to help raise funds to send these underprivileged children to school or at least help feed them. If you have the time, you can also be one of their volunteer teachers or gather books to help them educate the needy kids. Your Php50 may seem small but it's enough to feed the poor children of Cabid-an, Sorsogon. The Healing Servants Foundation Inc. was founded by Fr. Gerard Deveza and his friends in 2002 for the love of the poor children in Sorsogon. Since then the Divine Healer Academy was born and now it has grown bigger helping the first batch of high school graduates finish college education. Help extended and the need to get the community self-sufficient is in your hands. 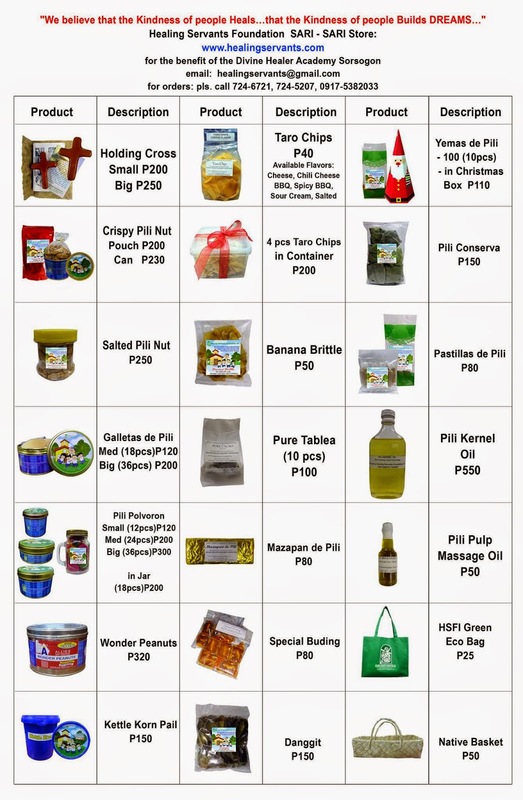 Simply purchase these Christmas giveaways and choose the products from Healing Servants Foundation Inc to help them continue their education. They will gladly create gift baskets based on your budget. Proceeds of sales will go to the education of the children of the Divine Healer Academy Sorsogon. For more information, visit www.healingservants.com, like their official Facebook page at https://www.facebook.com/pages/HEALING-SERVANTS-FOUNDATION-INC . Call 724-6721, 724-5207 or 09175382033 for orders.